Wilkins had two carries for 14 yards in Sunday's win at Oakland. Analysis: Wilkins is the clear No. 3 running back after Marlon Mack and Nyheim Hines as he played just three snaps on offense. He could move back to the bench after the bye if Robert Turbin is able to return from a shoulder injury. Wilkins had six carries for 46 yards and one reception for eight yards in Sunday's win over Buffalo. Analysis: Wilkins didn't play on offense last week, but he was third on the team in snaps on offense (15) against Buffalo with Robert Turbin out with a shoulder injury. While Wilkins' performance did come against struggling Buffalo, it could get him back into the RB mix. However, he's clearly No. 3 behind Marlon Mack and Nyheim Hines. Wilkins didn't play a snap on offense in Sunday's loss to the Jets. He played 12 snaps on special teams. Analysis: With Marlon Mack returning from a hamstring injury and Nyheim Hines getting work in a receiving role, Wilkins got stuck on the bench. Wilkins could get some playing time on offense if Robert Turbin is out with a shoulder injury, but Wilkins has clearly fallen out of favor in Indy's plans. 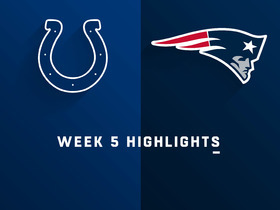 Wilkins' workload likely will decrease with Marlon Mack (hamstring) expected to start Sunday's road game against the Jets, Mike Chappell of Fox 59 News Indianapolis reports. Analysis: During Mack's absence, Wilkins has played second fiddle to Nyheim Hines, earning an offensive snap share of 36.2 percent versus the latter's 59.3 percent on the season. With Mack available Sunday, expect Wilkins to fall to third in the pecking order due to Hines' pass-catching chops. Wilkins handled six carries for 39 yards and caught two passes for nine yards in Thursday's 38-24 loss to New England. 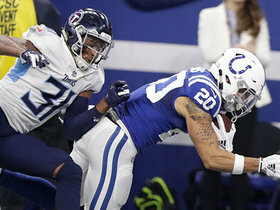 Wilkins should remain a part of the Colts' backfield committee Thursday against the Patriots with teammate Marlon Mack (hamstring) ruled out for the contest. Analysis: Wilkins and Nyheim Hines likely will be joined by a third party in Week 5 with Robert Turbin returning from a four-game suspension. 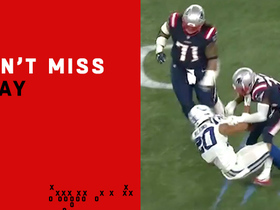 The Colts' inability to run the ball with any of their backs has left Hines as the player to own for fantasy purposes. Wilkins has yet to find the end zone or top 64 scrimmage yards in any game this season. Wilkins had eight carries for 16 yards in Sunday's 37-34 overtime loss to Houston. 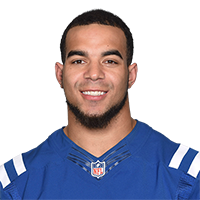 Wilkins will serve as the Colts' starting running back Sunday against the Texans with Marlon Mack (hamstring) inactive for the contest, George Bremer of The Anderson Herald Bulletin reports. Analysis: While Mack was sidelined for Weeks 1 and 3 with the same injury, Wilkins largely failed to make an impact, logging a combined 59 yards on 20 carries and 22 yards on five receptions. 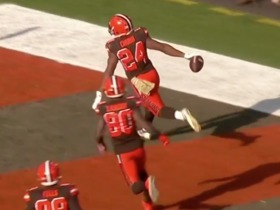 Wilkins actually ended up getting out-snapped by backup Nyheim Hines in the Week 3 loss to the Eagles by a 43-17 margin, so Wilkins' starting designation might not actually mean much for fantasy purposes. Wilkins ran for 19 yards on six carries and added a yard on two catches during Sunday's 20-16 loss to the Eagles. Wilkins' teammate, Marlon Mack (hamstring/foot), won't play Sunday against the Eagles, George Bremer of The Anderson Herald Bulletin reports. Analysis: With Mack not in the mix Week 3, Wilkins is in line to head the Colts' backfield this weekend, while Nyheim Hines is set to work in a change-of-pace role. Wilkins thus represents a decent lineup option in most formats, as well as a potential DFS bargain. Wilkins rushed 10 times for 61 yards and caught both of his targets for three more in Sunday's 21-9 win over Washington. Wilkins was forced out of Sunday's game against Washington with an ankle injury. Analysis: With Wilkins banged up, Marlon Mack will continue to head the Colts' Week 2 backfield, while Nyheim Hines is on hand to work in a change-of-pace role. Wilkins rushed 14 times for 40 yards and caught all three of his targets for 21 yards in a 34-23 season-opening loss to the Bengals. Analysis: Wilkins got the start with Marlon Mack (hamstring) inactive. 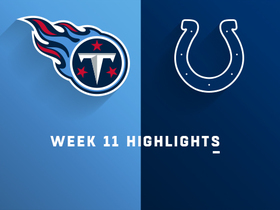 The rookie fifth-rounder worked the ball down to the one-yard line on a first-quarter catch, but he got stuffed on a rushing attempt on the next play, forcing the Colts to settle for a field goal. Nyheim Hines and Christine Michael combined for just seven carries, so Wilkins appears primed to carry most of the rushing load as long as Mack remains out. Wilkins will start at running back Sunday against the Bengals with Marlon Mack (hamstring) inactive, George Bremer of The Anderson Herald Bulletin reports. 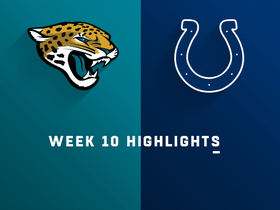 Wilkins is the frontrunner to replace Marlon Mack (hamstring) in the starting lineup if the second-year pro isn't ready for Week 1, ESPN.com's Mike Wells reports. Wilkins carried 14 times for 28 yards and caught both of his targets for an additional 33 yards during Saturday's 23-17 win over the 49ers. 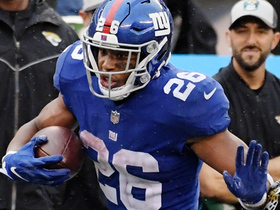 Wilkins rushed seven times for 26 yards and caught both of his targets for 17 receiving yards in Monday night's 20-19 loss to the Ravens in the third preseason game. Analysis: Wilkins entered the game behind Christine Michael, who managed just 21 yards on his seven carries. While Wilkins was able to find slightly more space in the running game, his most notable play was a fumble around the goal line. Fortunately for him, a teammate was able to recover in the end zone for a touchdown. Although he was decently productive, Wilkins will need to work on his ball security if he wants a larger role. 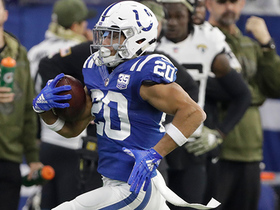 Wilkins received the start at running back in Friday's practice, but the Colts rotated Christine Michael and Nyheim Hines with the first-team offense as well, ESPN 1070 AM Indianapolis reports. Analysis: With Marlon Mack sidelined with a hamstring injury and Robert Turbin hampered by an ankle issue, Wilkins has an opportunity to showcase his talents in the next two preseason games. It's possible he could figure early into the regular-season mix if Mack is sidelined past the preseason, considering Turbin is set to miss the first four games due to a suspension. However, Michael and Hines could still figure into the mix, with the latter likely having particular upside on passing downs. Wilkins had six carries for 21 yards and one reception for seven yards in Thursday's preseason win over Seattle. Wilkins has been mixing in with the starting offense at training camp, Kevin Bowen of 1070 The Fan reports.